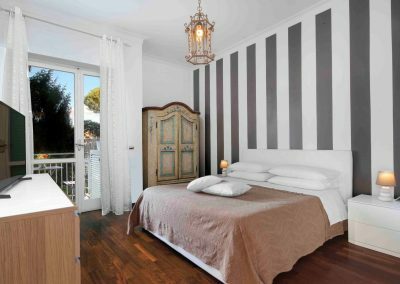 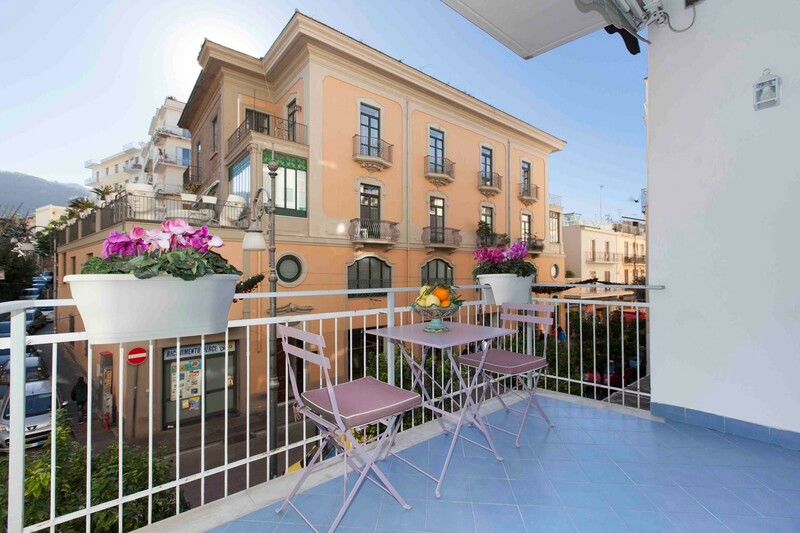 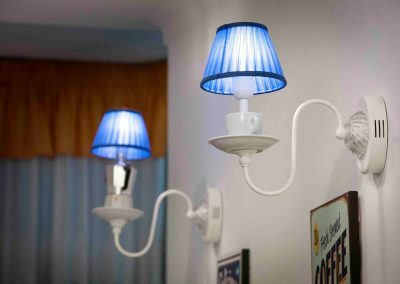 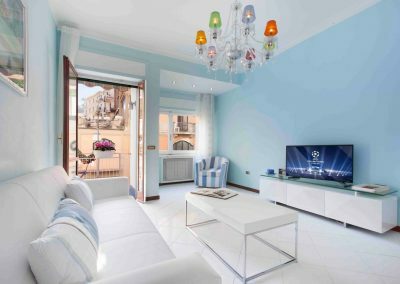 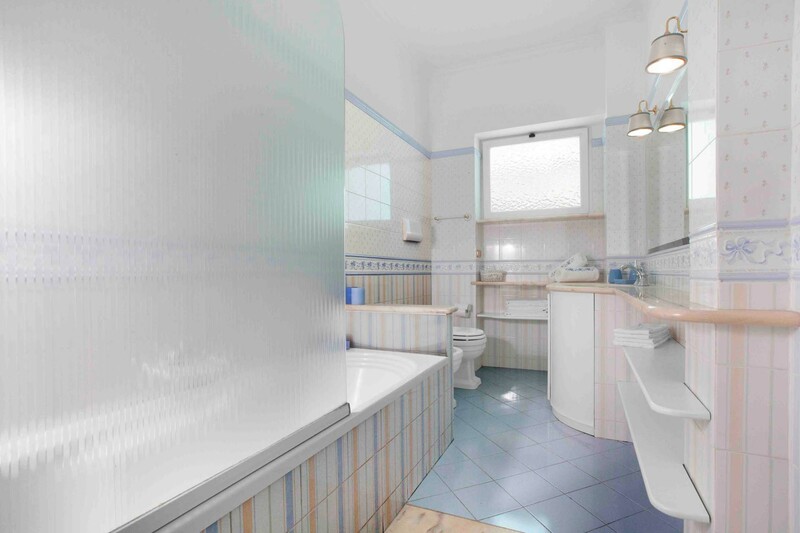 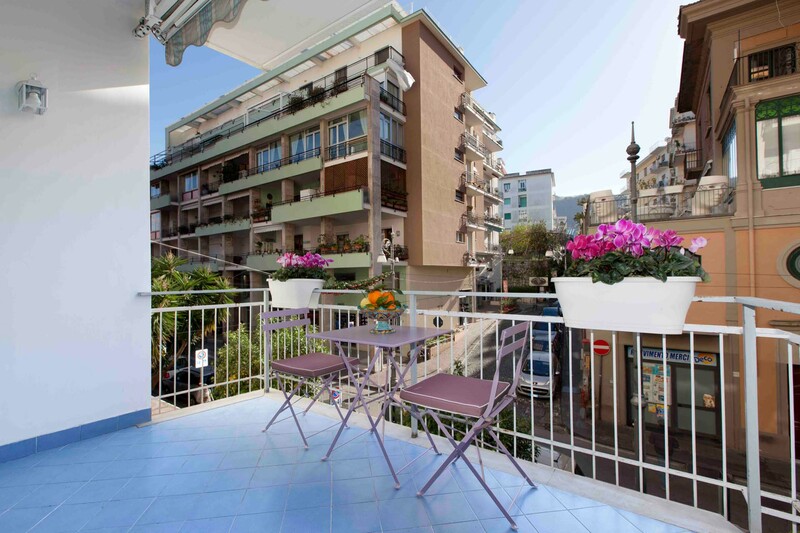 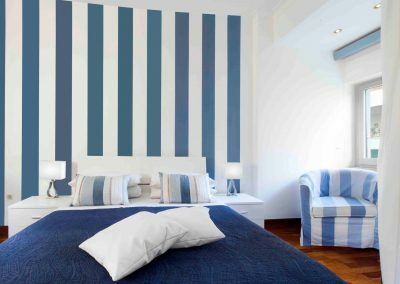 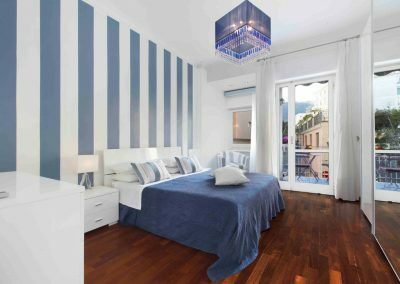 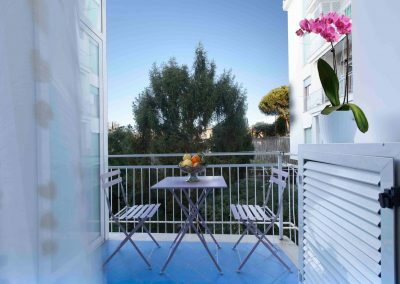 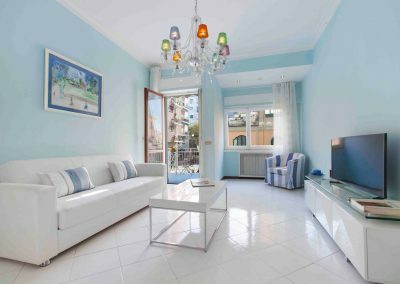 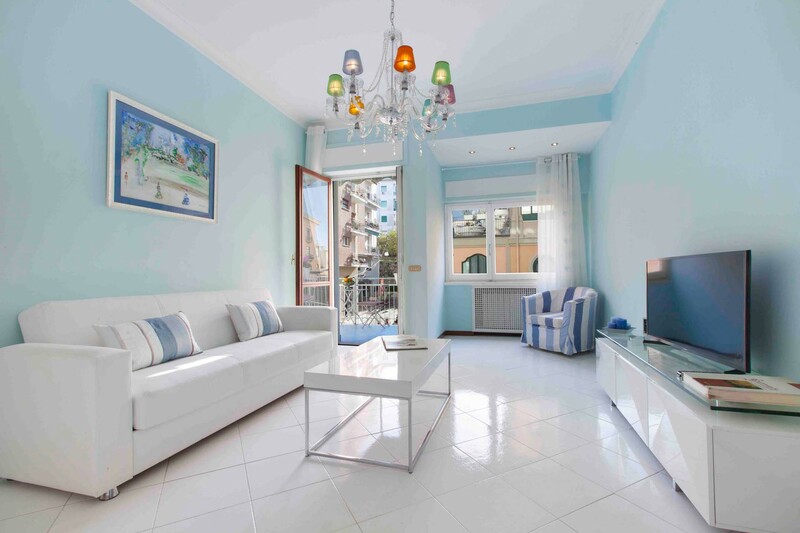 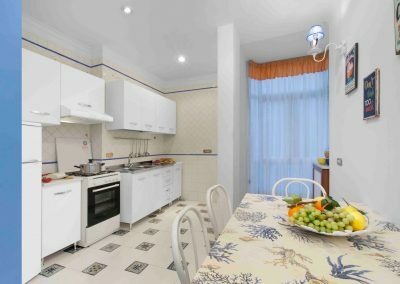 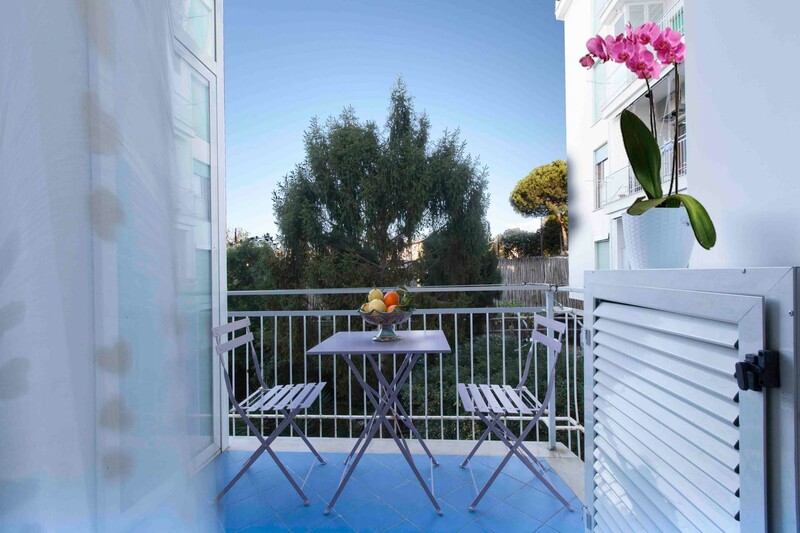 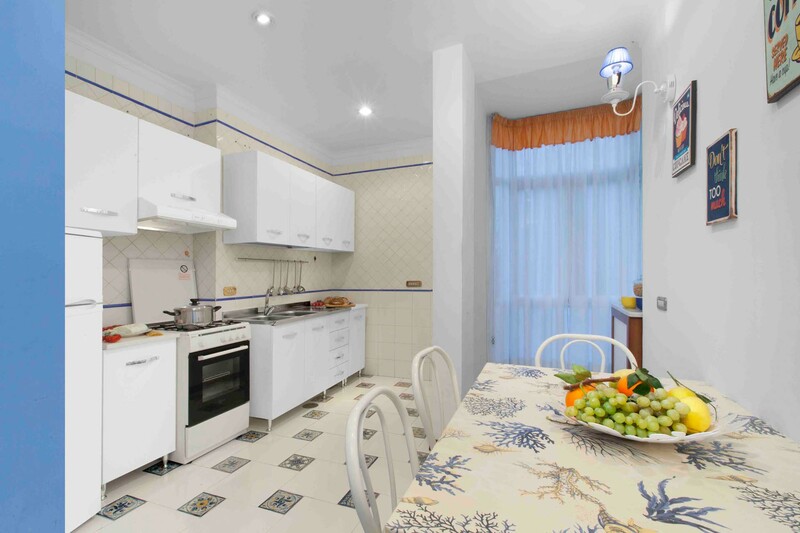 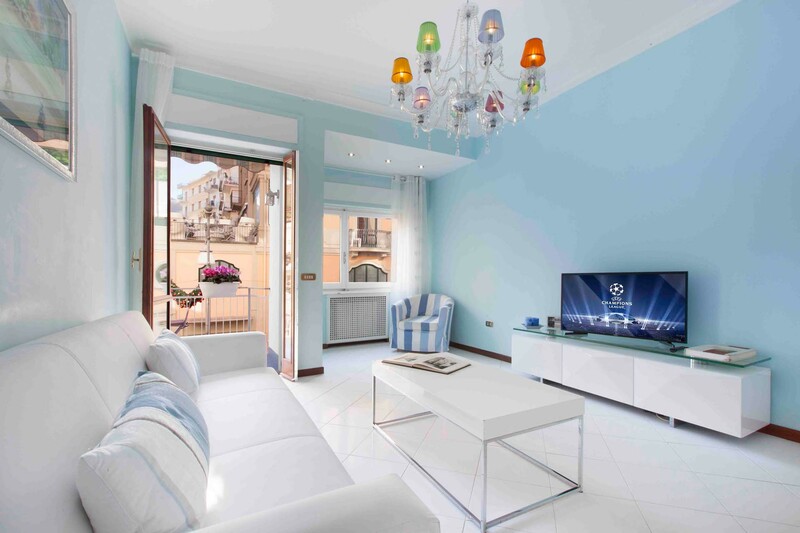 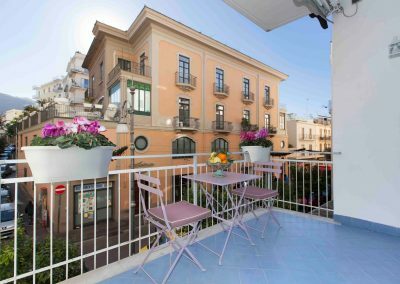 Located in the center of Sorrento, a few steps from Tasso’s Square and from the railway station, the apartment was recently renovated: two bedrooms and two bathrooms, living room, kitchen and private terrace where you can have dinner or just relax. 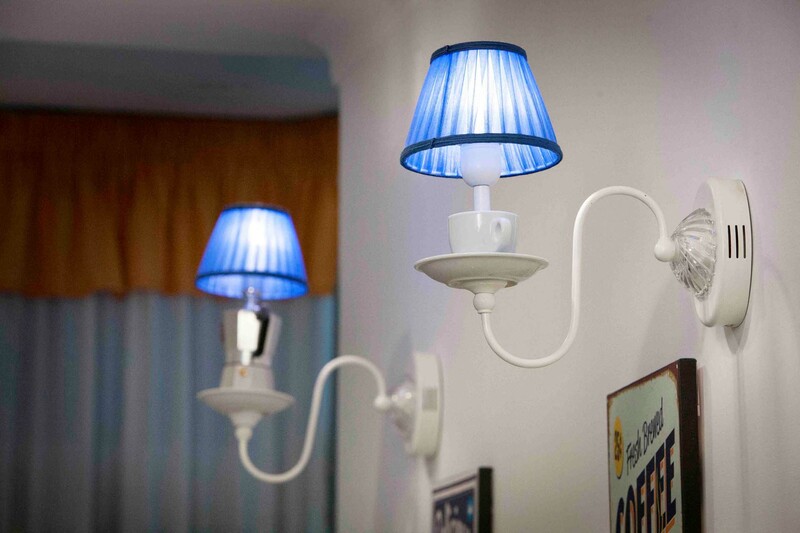 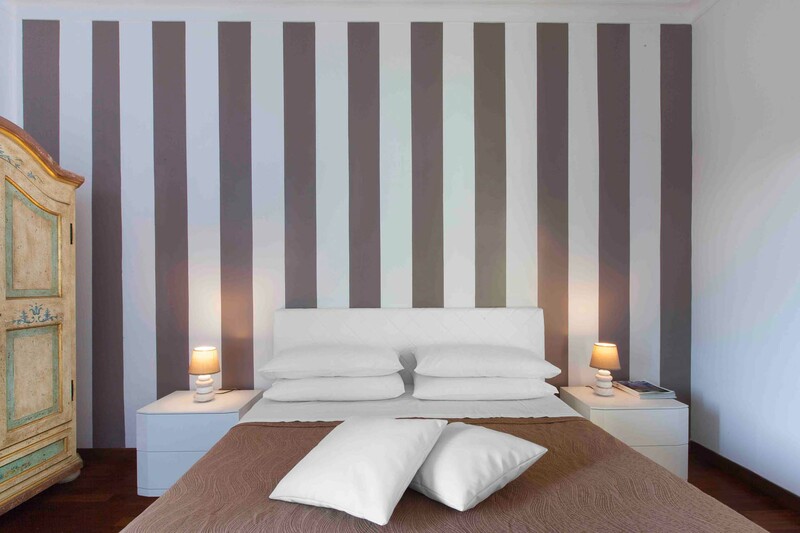 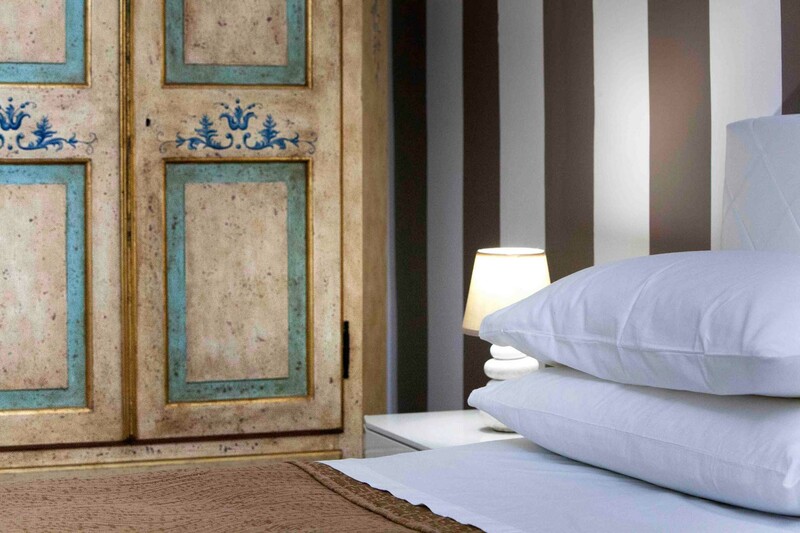 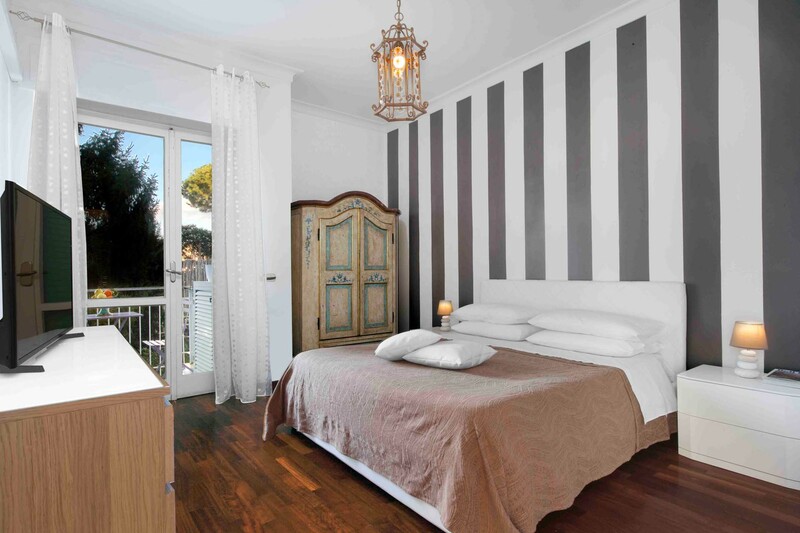 Bedrooms · Queen size beds or twin beds, TV, terrace. Bathroom · With shower & bathtub. 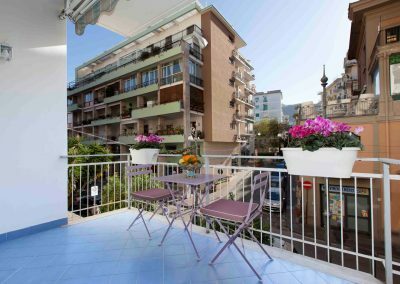 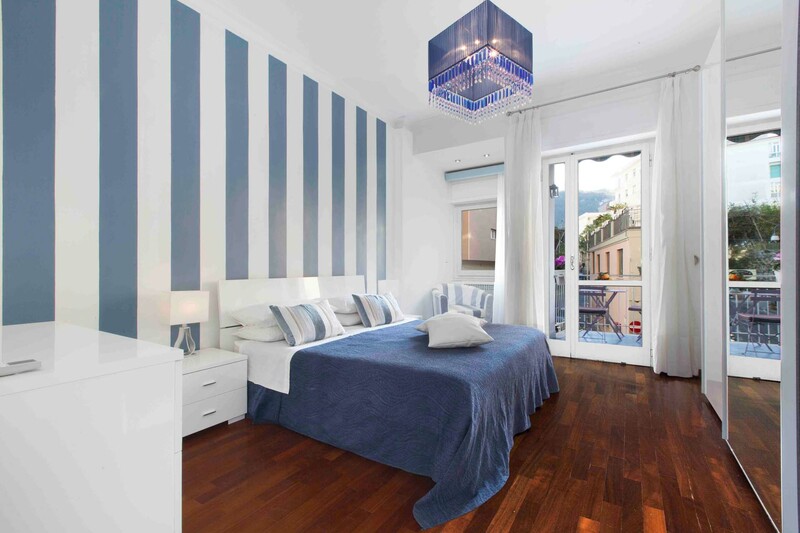 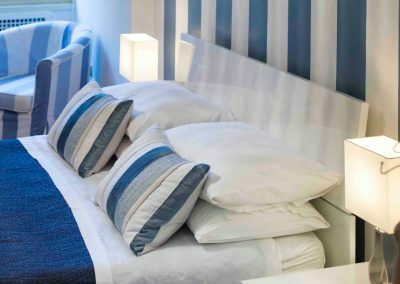 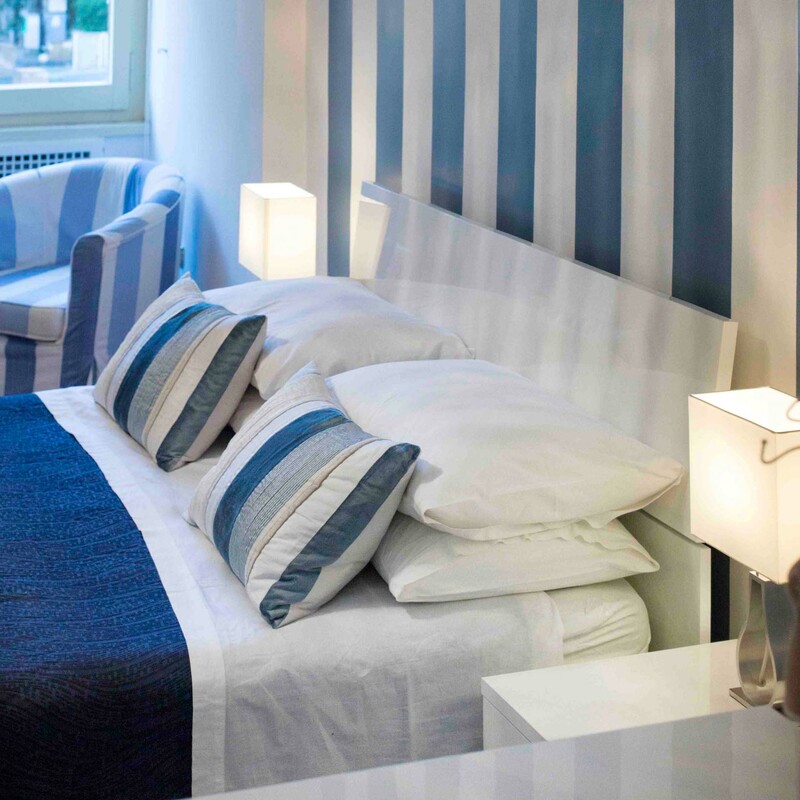 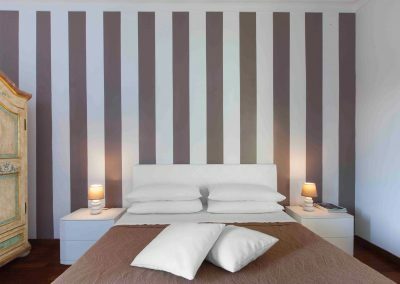 Only two minutes walking distance from the railway station and Piazza Tasso, it is located in a strategic position that allows you to walk to all major attractions in the historical center of Sorrento, but also relax and enjoy restaurants, cafés and night clubs.